The incredible account of building what was once Florida's tallest skyscraper around an entombed steam locomotive. Narrative provided by John C Christian: Jacksonville resident, history buff and a former employee of Raymond International. During construction of the Independent Life Building adjacent to the Main Street Bridge and the Jacksonville Landing (what is now known as the Wells Fargo Building) between 1971 and 1972, a steam locomotive was found buried deep underground. The structural pilings of the building were placed around this locomotive, which still sits buried beneath the building to this day. This is the story of what many scoff at being merely an urban legend, as told by a first-hand eyewitness. 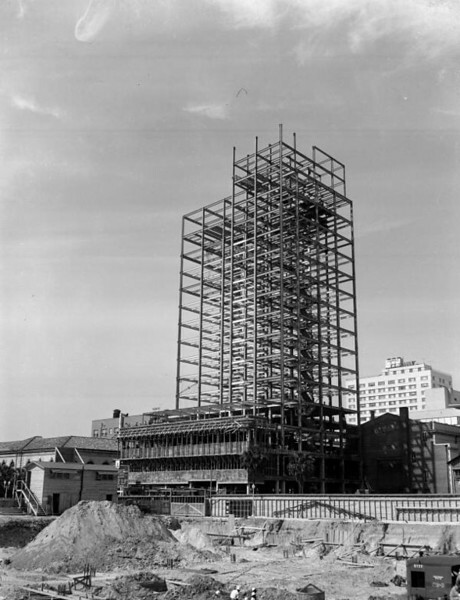 View showing construction of the Independent Life and Accident Insurance Company home office building in 1973, via Florida Memory from Robert E Fisher. The Auchter Company was the General Contractor, but Raymond International excavated the entire city block and built the foundation for the future skyscraper. The lead superintendent was C.J. Holmes, my next door neighbor, and I was his assistant gopher. I was just 17 years old and barely out of high school. I had to join the union to be employed and only a handful of people knew that Mr Holmes was my uncle. Old timers didn’t take a liking to a wet-behind-the-ears kid working out of the main trailer. To better understand how a railroad locomotive ended up in the ground there I would like to take you on a walk back in time with various photographs, maps and drawings. When Isaiah D Hart laid out the town of Jacksonville in the late 1830’s, there were only several dozen people living in the community of The Cow Ford. The Cow Ford was located on the north bank of the St Johns River at the foot of present day Liberty Street. 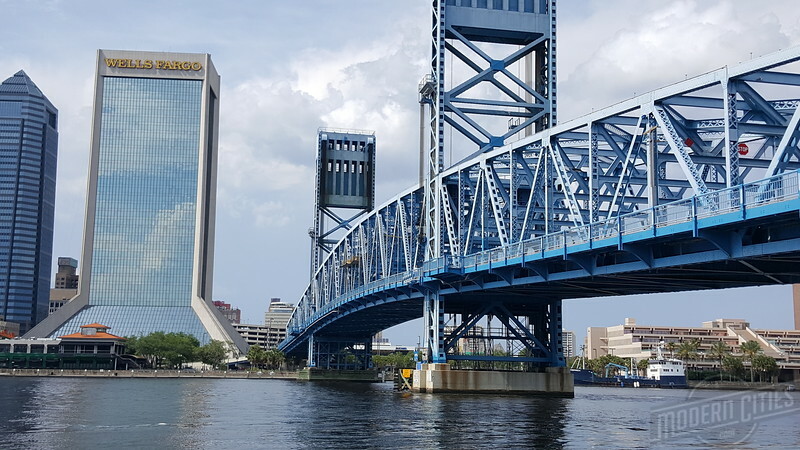 The Kings Road from the St Mary’s River approached the area from the Northwest and angled through current day downtown Jacksonville on a Southwest course to the river. 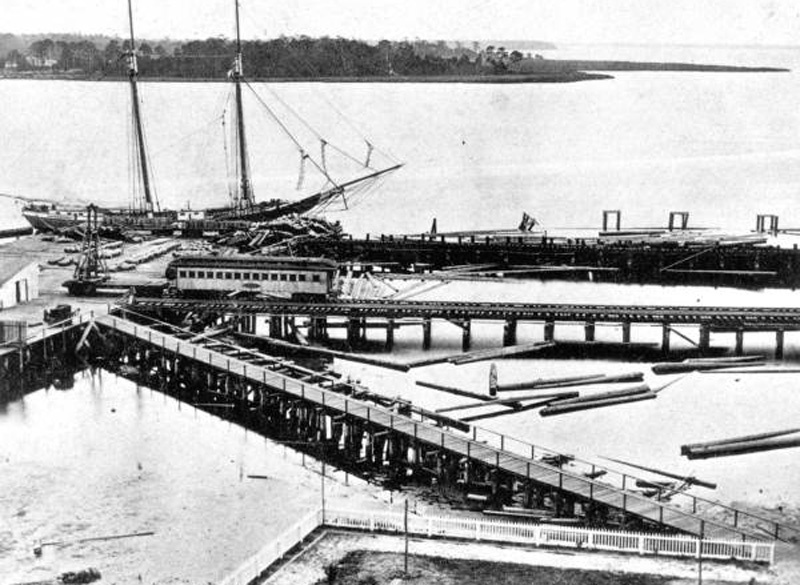 The new town of Jacksonville drew its existence from the trade on the St Johns River. There were no railroads in the 1830’s and 1840’s and no goods arrived by the Kings Road as it was a poor road and was traveled by foot and horseback only. A shallow draft schooner and steamboat arrived only once a week bringing supplies and mail. When the railroad arrived it came in from a Westerly direction and the main terminal was about where Union Station is now. That area became LaVilla and was a separate town. 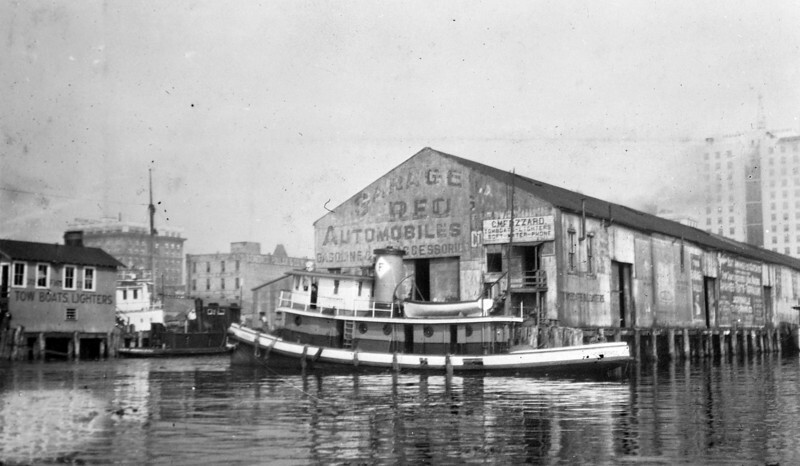 The railroad and the new age of steamboats merged at the river all along Bay Street. Sail powered vessels continued as well.